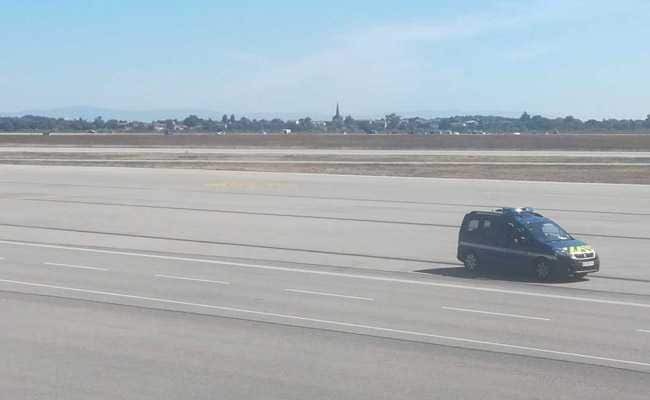 Nobody was injured in the incident, which led to the suspension of all flights in and out of Lyon Saint-Exupery airport, situated in the east of Lyon. Before driving onto the runway the man had driven the car into the glass doors of one of the airport terminals. The vehicle was also seen speeding the wrong way along a motorway. The pilot told passengers that the delay was due to a helicopter being dispatched as part of the pursuit. An amateur video on social media showed the car being chased by several police vehicles. The motorist then abandons the vehicle and continues on foot, weaving his way past several cars before being wrestled to the ground by officers.